HONG KONG/BEIJING - China is steadfastly opposed to the deployment of advanced U.S. anti-missile radars in South Korea because it does not know whether the defenses, intended for North Korean missiles, are capable of tracking and countering Beijing’s own nuclear program, experts say. 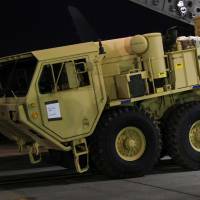 Beijing’s resistance to the Terminal High Altitude Area Defense (THAAD) anti-missile system put up south of Seoul has become a major thorn in bilateral ties with the United States and is bound to be discussed at this week’s summit meeting between President Xi Jinping and President Donald Trump. While the United States says THAAD is needed to protect Seoul from the threat posed by North Korea’s growing nuclear and missile programs, some Chinese strategists believe it is also a threat to the viability of China’s nuclear deterrent. “It is clear that there is no one in China who really knows the technical capability of THAAD and that’s part of the problem,” said Zhang Baohui, a Hong Kong-based mainland expert on China’s nuclear deterrent. Chinese officials have also expressed concern about the reported 2,000 km (1,200 mile) range of THAAD’s powerful X-band radars, which can look deep into the mainland, rather than the system’s shorter-range interceptor missiles that can target North Korea’s missiles. Chinese authorities have closed dozens of Lotte retail stores on the mainland after the South Korean conglomerate agreed to provide land for the missile-defense system. 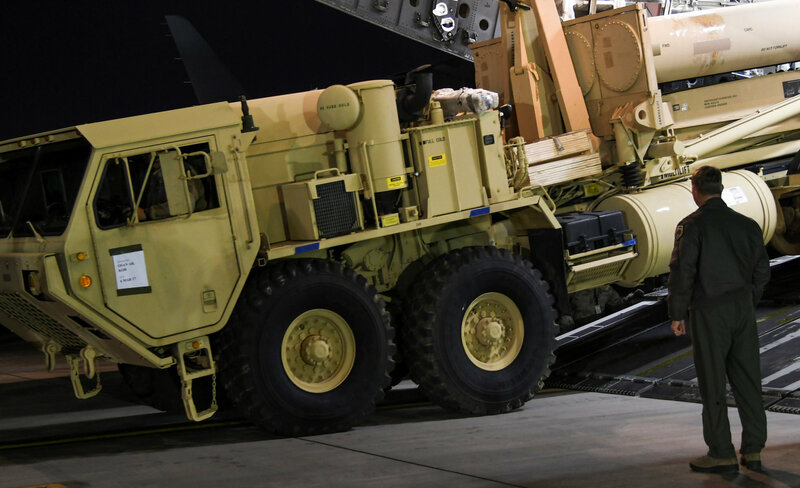 THAAD, never tested in a conflict and whose effectiveness is still questioned by some Western experts, is designed to intercept and destroy ballistic missiles late in flight, either just inside or outside the Earth’s atmosphere. The range of its radars however can help the system cover missile and rocket launch sites deep in China’s isolated northeast where the People’s Liberation Army (PLA) tests its modern generation of long-range weapons, some Chinese experts fear. China’s nuclear deterrent is based around ensuring it has a credible “second strike” capability given its long-standing vow never to be the first to use a nuclear weapon in a conflict. Li Bin, a security expert at Beijing’s Tsinghua University, wrote recently that the THAAD radars would allow the U.S. military to obtain data on missiles that it could not get through other sources, clearly undermining China’s nuclear strategy. In another recent commentary, Li noted differing unofficial Chinese views over the range of THAAD’s radars, a discrepancy he said pointed to a lack of knowledge. Some experts have however stressed that the PLA has both hard and soft options for crippling the THAAD’s radars, such as the use of laser weapons or, less provocatively, deception maneuvers to confuse them. Peng Guangqian, a strategist at the PLA Academy of Military Science, told the state-owned Global Times tabloid earlier this month that it was easy to “blind” the radars. Beyond debates over the THAAD’s range, mainland strategists believe the system can be linked into a broader U.S.-led network of early warning radars, sensors and battle management systems in the region and tie in neighboring nations into an alliance. And that, say experts outside China, lies at the core of Beijing’s fears over THAAD — a South Korea tied ever more tightly to the U.S. and Japan, despite years of effort by Beijing to draw Seoul closer. Former U.S. Defense Secretary William Perry told the conference that he believed that China’s missile forces were large and sophisticated enough to be impossible to defend against, so THAAD need not be a concern to Beijing. He did say, however, that it “conceivably could enhance” other missile/anti-missile systems in the region. When Trump and Xi meet, will it mean conciliation or collision?